Things have been a bit slow on this project for some time. Main reason is that I’ve been waiting for some key parts that prevents me from going further. Last week, One of those items arrived. 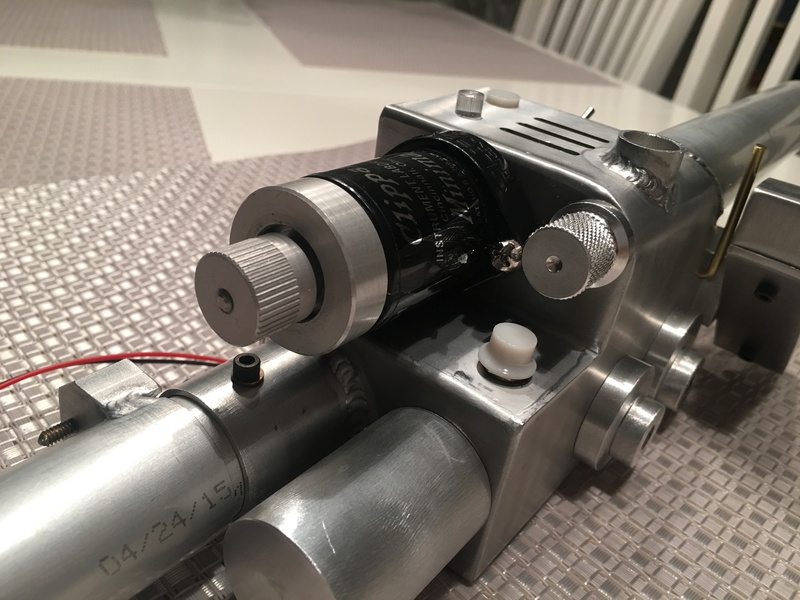 The all aluminium proton gun by CPU64, and it is a beauty! For some reason, I just had to start assembling it, filed the opening for the bar graph just large enough for it to fit, added some switches and buttons and the Clippard valve.. I lacked a tap for 1/8 inch imperial holes, so I could not finish the top button that should be there. 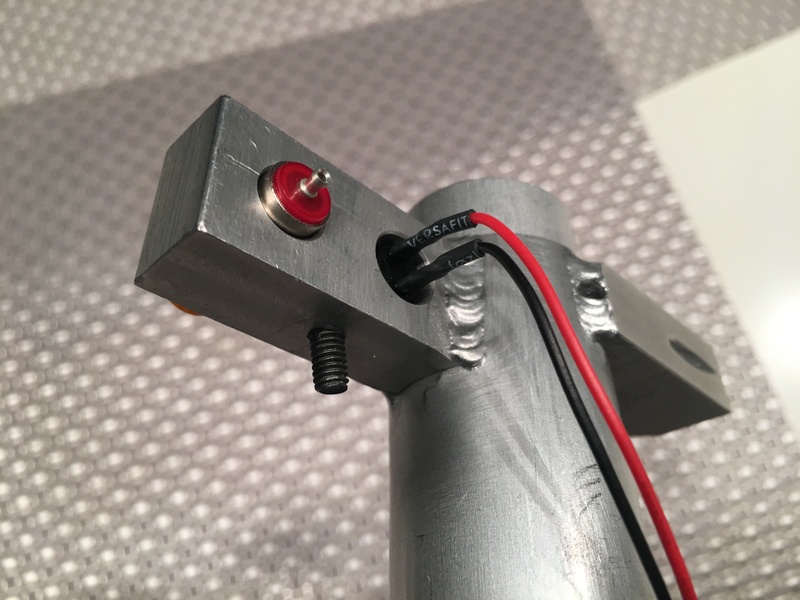 Also, I have only marked the location for the side knob and the heatsink. Still need to figure out the position of the gun rack to go below. Hat light extends a fair bit below the wing, need to check out ref pics for these if I should cut it shorter or not. Most likely not. Right now, a lot of wires just shaking lose inside, connected to nothing. I also need to make sure that the wires are not in the way for the pop out mechanism Chris (CPU64) has made. 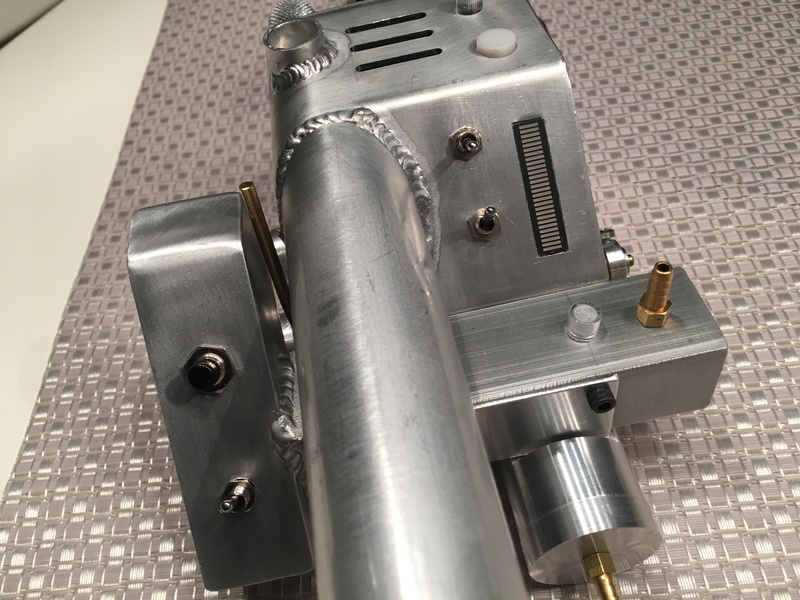 Another thing I need to figure out is how to attach the acrylic tip to the metal tube inside. I am thinking E-6000 or possibly hot glue. As soon as I get the tap, I can finish off 99% of my proton gun. There is still some work to do, but mainly mounting electronics and rumble pack. 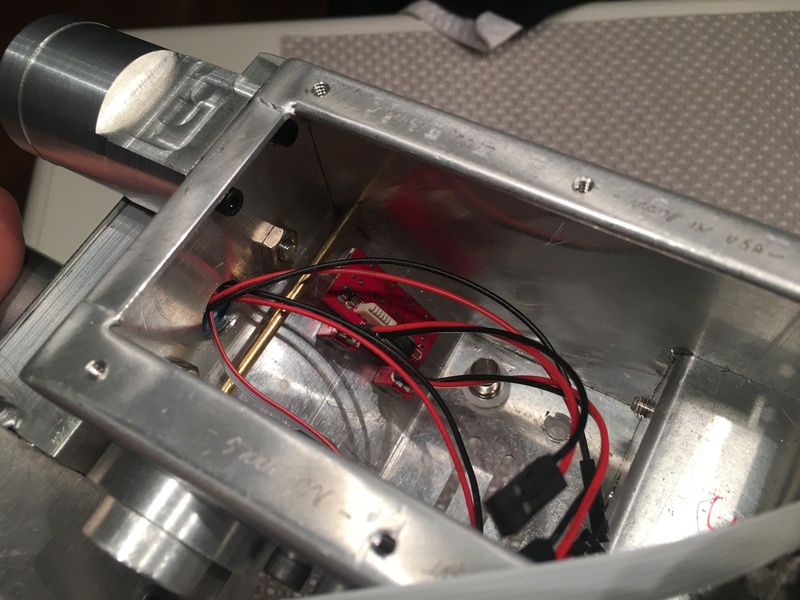 I might 3d print some holders for things inside, or use the wall where the heat sink should be placed for getting a few screws for mounting things inside the gun itself. Another thing I have been waiting for just got picked up by a friend of mine and is being delivered on Monday: Behold! 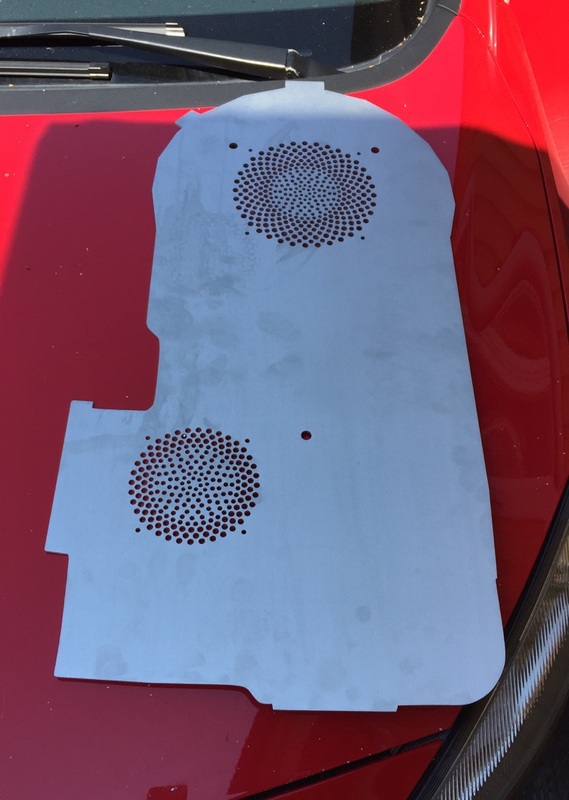 My laser cut motherboard, complete with speaker holes! This one is a bit scary as it was drawn and designed purely in CAD and should fit my Nick-a-tron shell, in theory, but I won’t know until I’ve actually tried.